Home / Does Google Use Social Media Links for Ranking? / Does Google Use Social Media Links for Ranking? Does Google Use Social Media Links for Ranking? Well, the answer is quite simple. YESSSS!!!!! We all know that Google uses Page rank, keyword, descriptions to a rank page within a website or whole website. But, here comes the question regarding social media post and google ranking. The reason behind my answer yes is that we all have seen that Some popular Facebook posts rank higher on Google and that's all because search engines have been slowly and steadily evaluating that the content is user-friendly.More and more clicks or share of your FB post indicates that content is actually user-friendly and useful. Like any other backlinks which we build posting our links to other sites or blogs, that creates authority for our posts. This authority is the very important thing for Google. These social media links create authority. We have noticed that some articles rank higher than other article but those have very little uniqueness. And another article with a lot more uniqueness is ranked lower. But if we check engagement level off of the higher ranked blog post, that certainly will be having fore FB like or share or tweeter share. 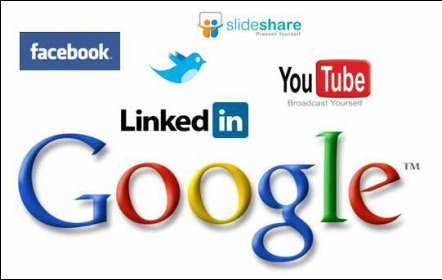 So, If you looking for rank higher in Google search, the answer is simple because all other conventional methods you should also concentrate on Facebook as well with the same intensity.Create a quality article and share the article in your FB wall or page and try to engage as many people as possible. If you have any doubt, please check below video on Youtube, what google's webmaster says on the same question.